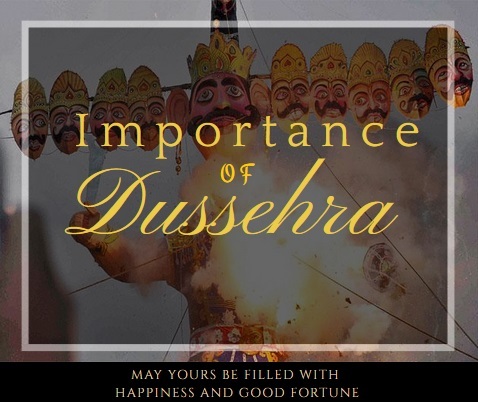 The importance and significance of the festival of Dussehra is the rise of “good over evil”. There are many legends behind the celebration of Dussehra, all depicting that ultimately it’s the “good” that wins. Among Hindus, Lord Rama is considered to have a culmination of all the best qualities that a human can possess, required to make this world a happy place. Both the festivals of Diwali and Dussehra are celebrated in honor of Lord Rama and his morals. Dussehra is the tenth day of Navratri, in the month of Ashwin-Kartik, while Diwali is celebrated 20 days ahead of Dussehra. Lord Rama emerged victorious in a ferocious battle against Ravana who had abducted Sita. In spite of all powers that Ravana possessed, it was ultimately the good intentions of Lord Rama that saw the face of Victory. This is generally depicted on the day of Dussehra by burning the effigies of Ravana by Lord Rama’s bow that kills him. People every year on this day get the moral of leading a righteous life. Dussehra also marks the day when Goddess Durga killed the demon Mahishasura. She had fought a long and ferocious battle against him, who had the boon of not getting harm with weapons. Ultimately, it was “the good” Goddess Durga who won on this day after a 10 day long battle.